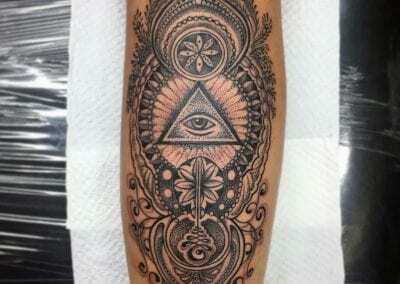 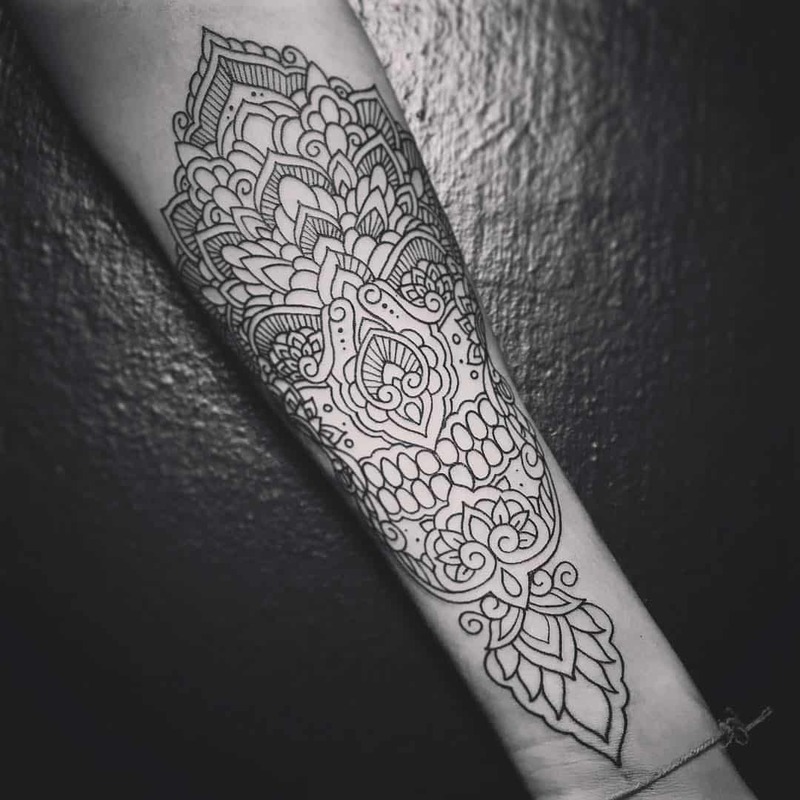 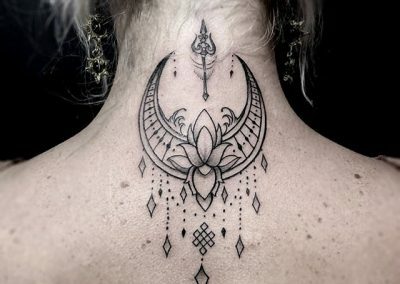 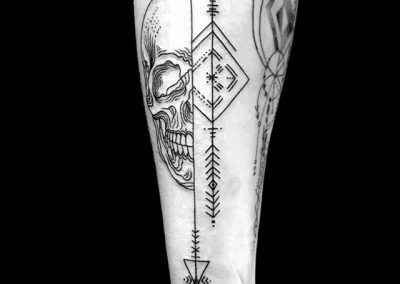 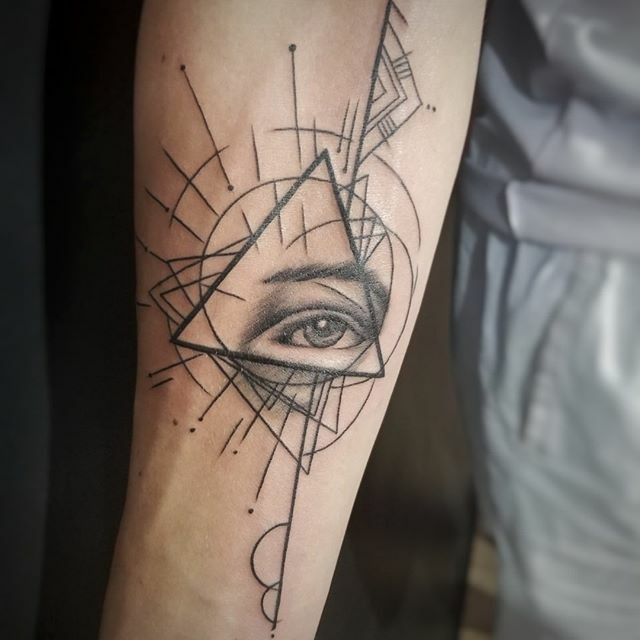 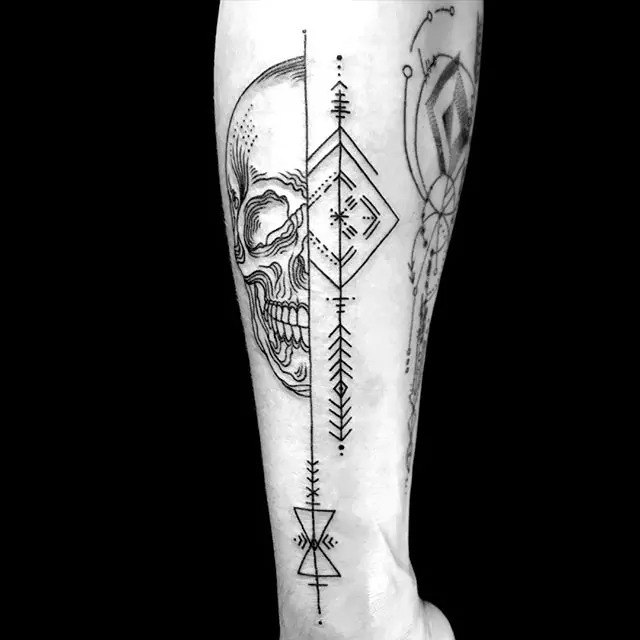 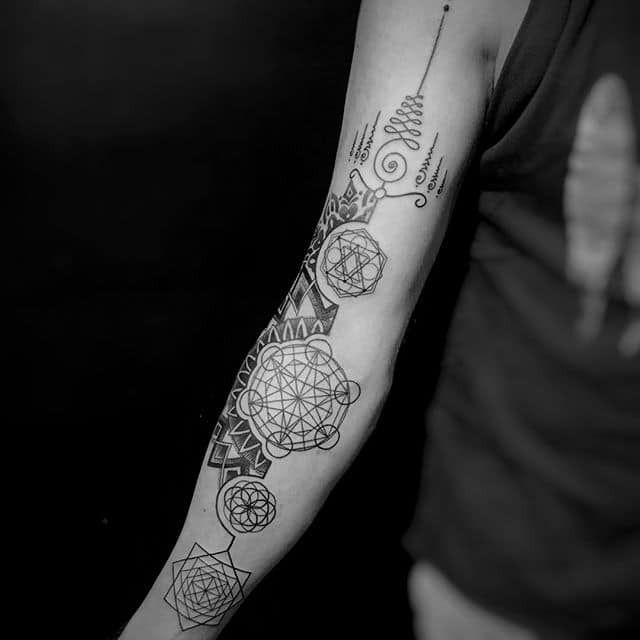 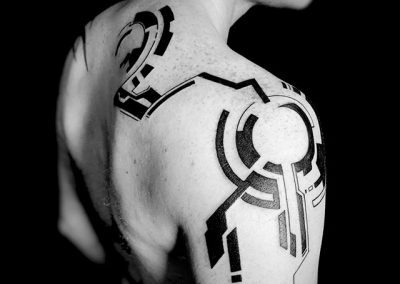 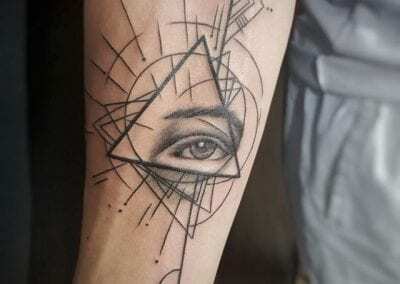 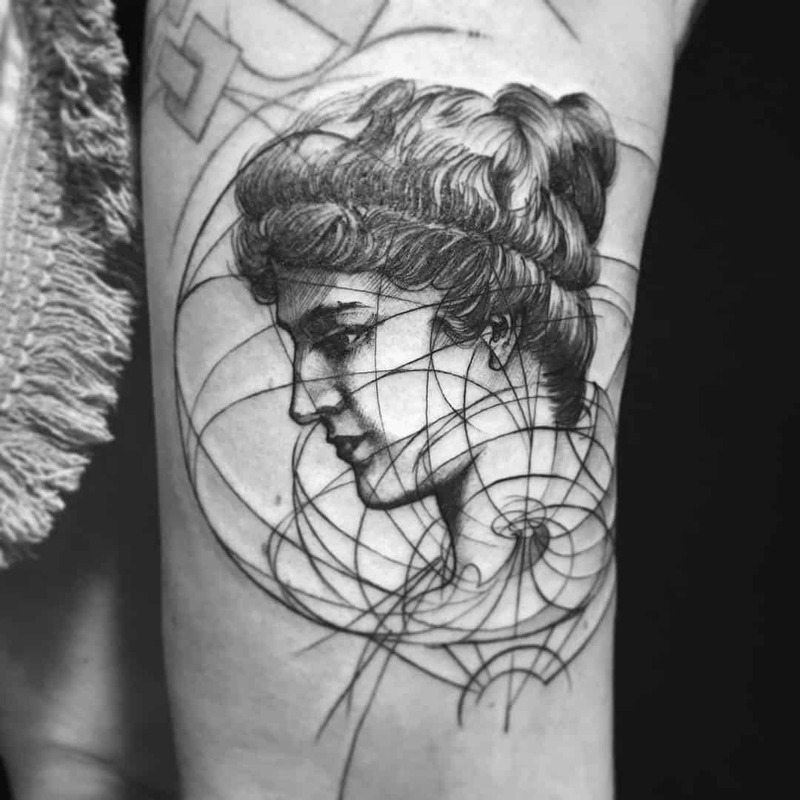 What kind of geometric tattoos can you get in Bangkok? 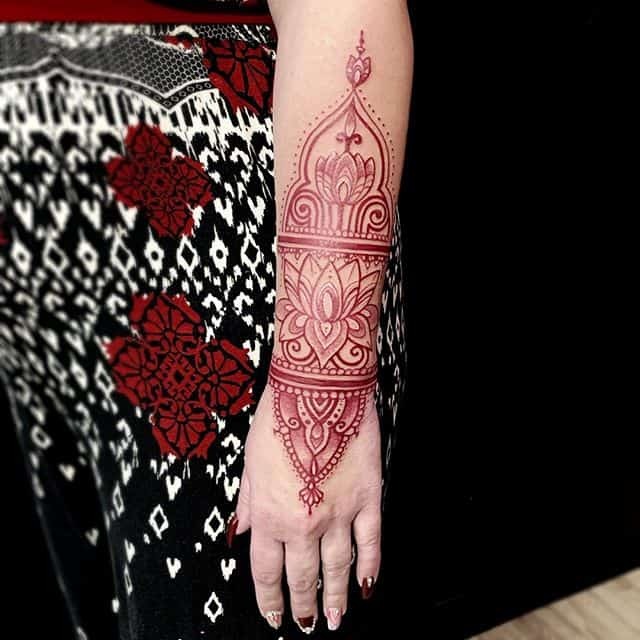 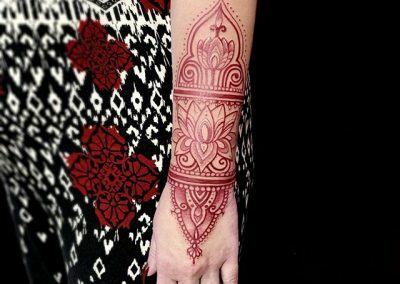 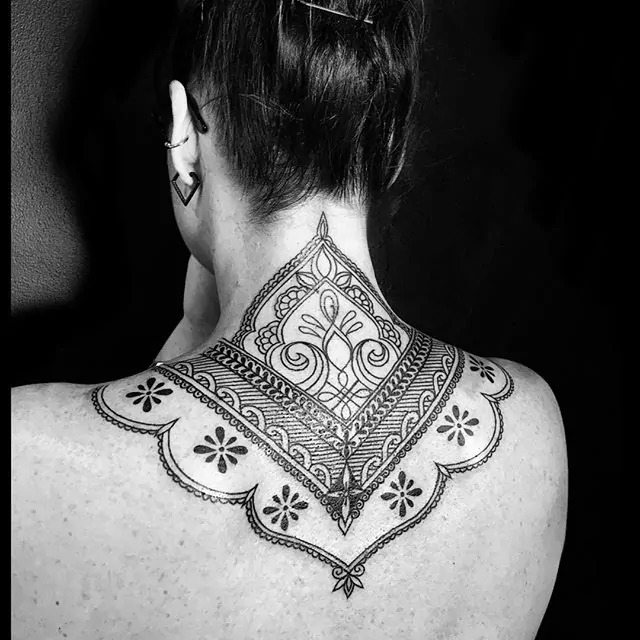 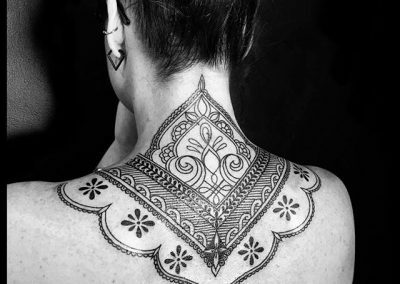 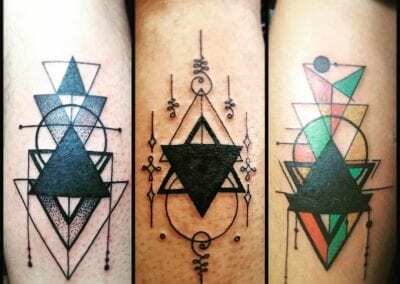 Getting a geometric tattoo in Bangkok has risen in popularity over recent years, however they actually have their roots in very ancient practices! 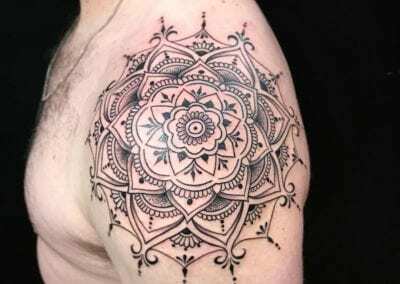 Often depicted by using simple, repeating lines or symmetry, they often depict or reflect the beauty or order found in nature. 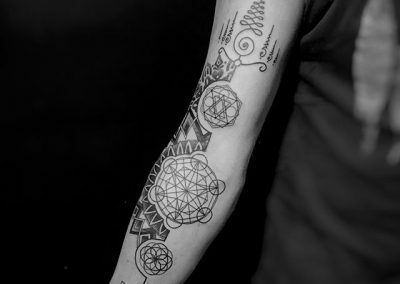 Some of the oldest designs can be found in ancient religious or spiritual ceremonies and artwork and take their inspiration from “sacred geometry”. 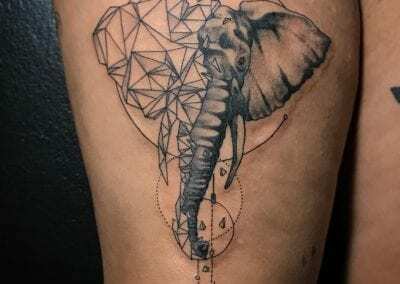 If you’re and interested in a getting geometric tattoo in Bangkok, please be very careful of where you choose to go. 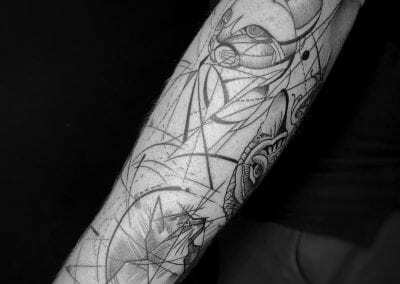 These designs are very detailed and intricate and take a specific type of artist to deliver the design the way it should look. 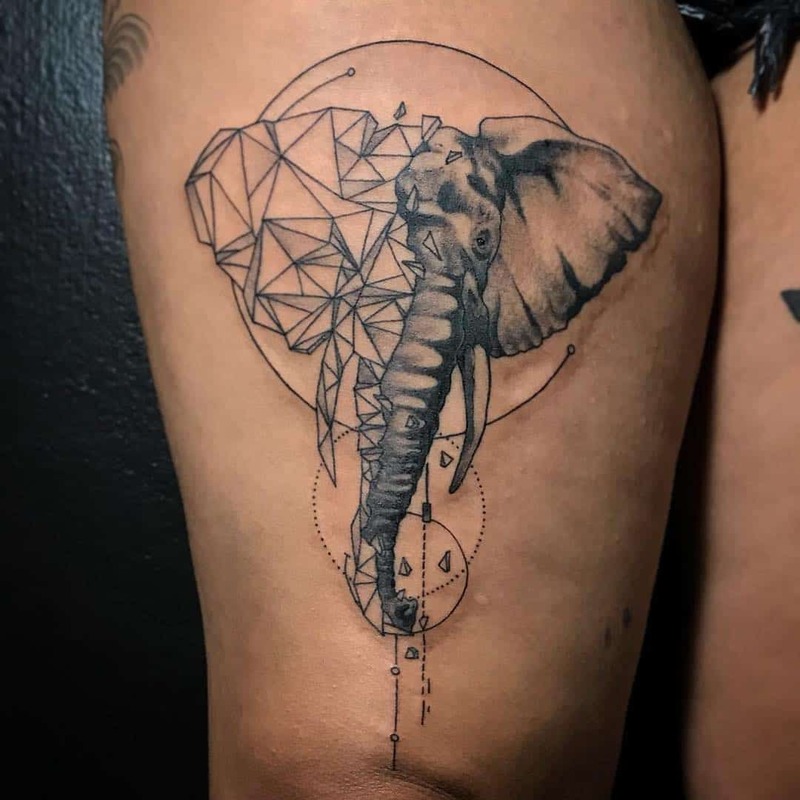 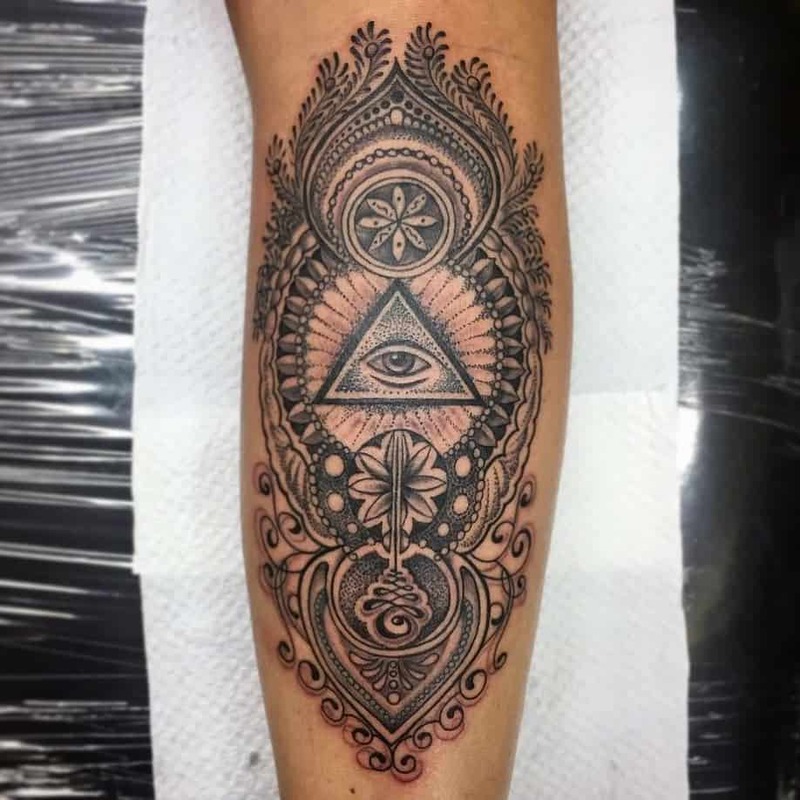 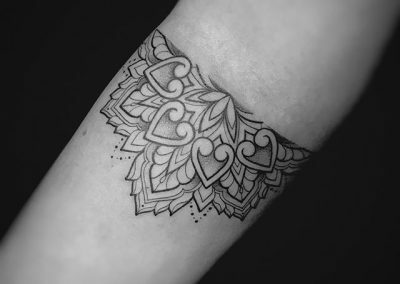 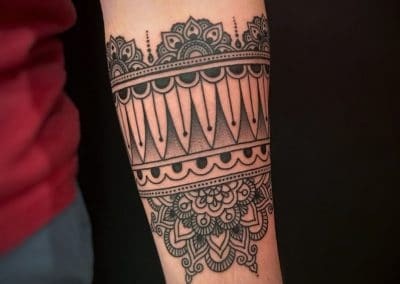 There are many different styles of geometric tattoos and we have some of the best geometric artists in Thailand so whatever your preference we’re sure to be able to help! 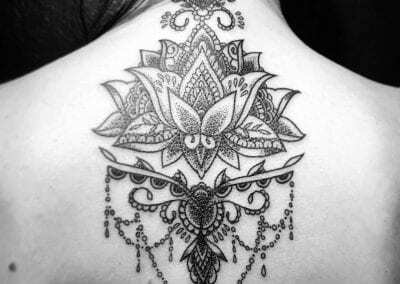 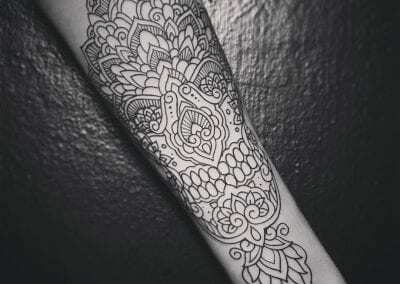 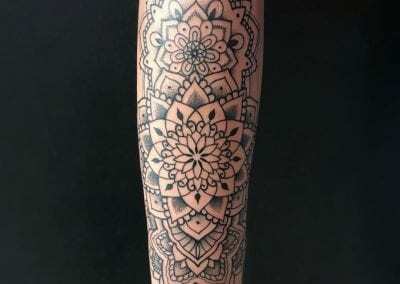 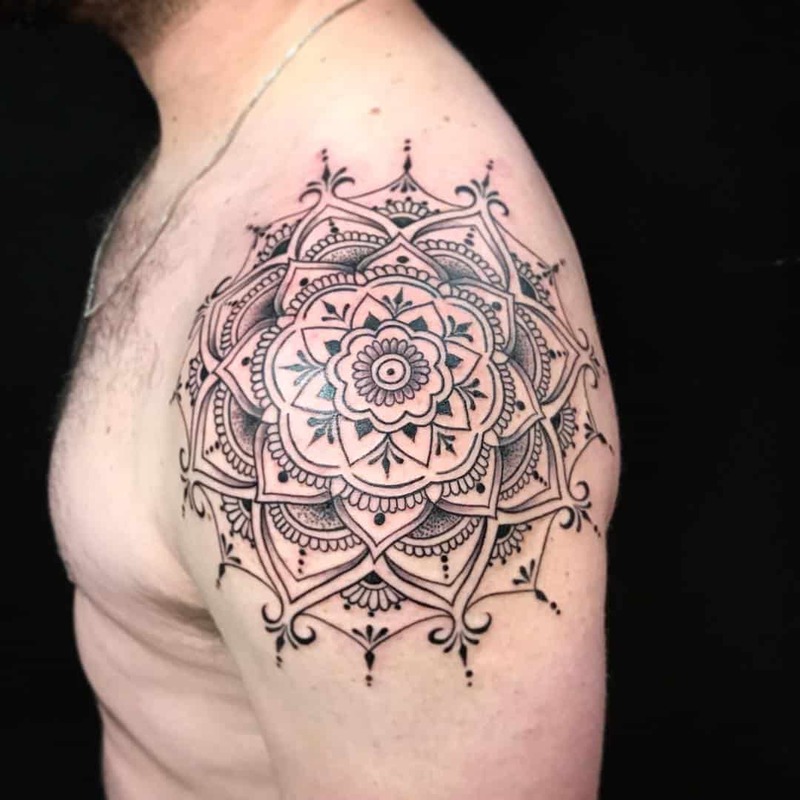 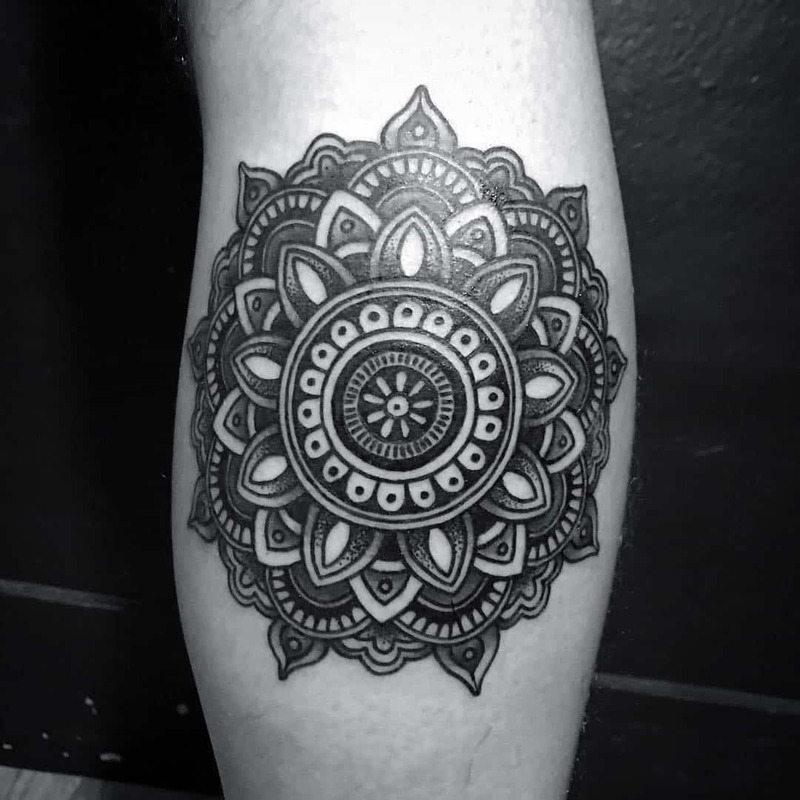 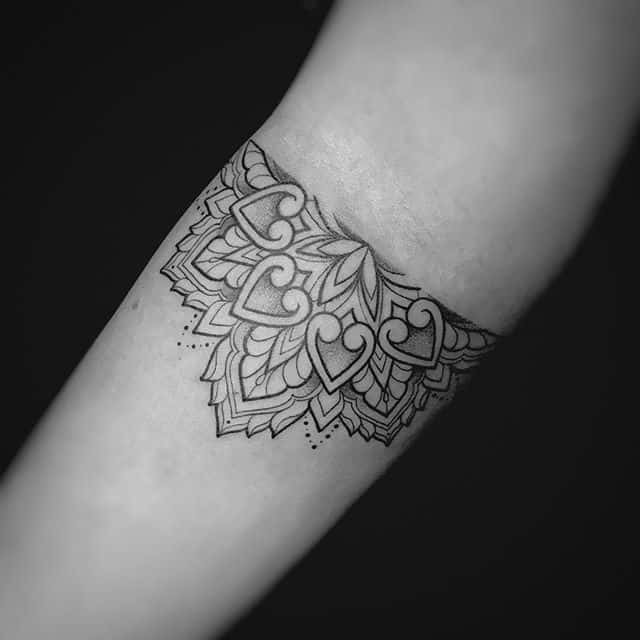 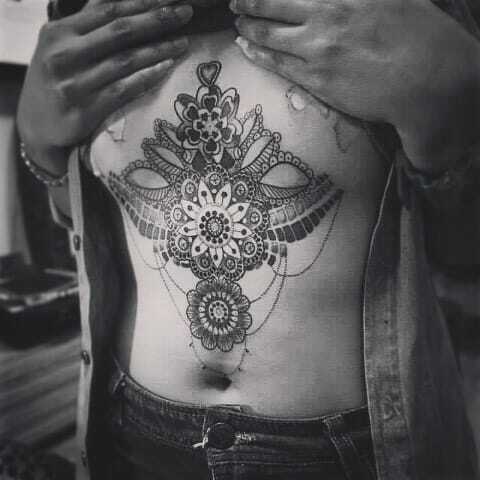 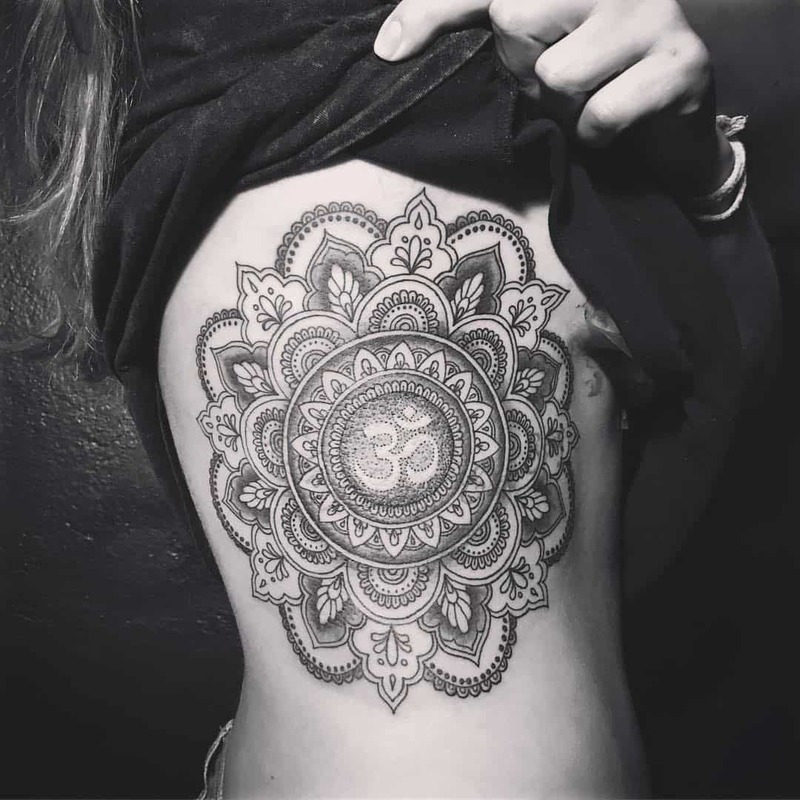 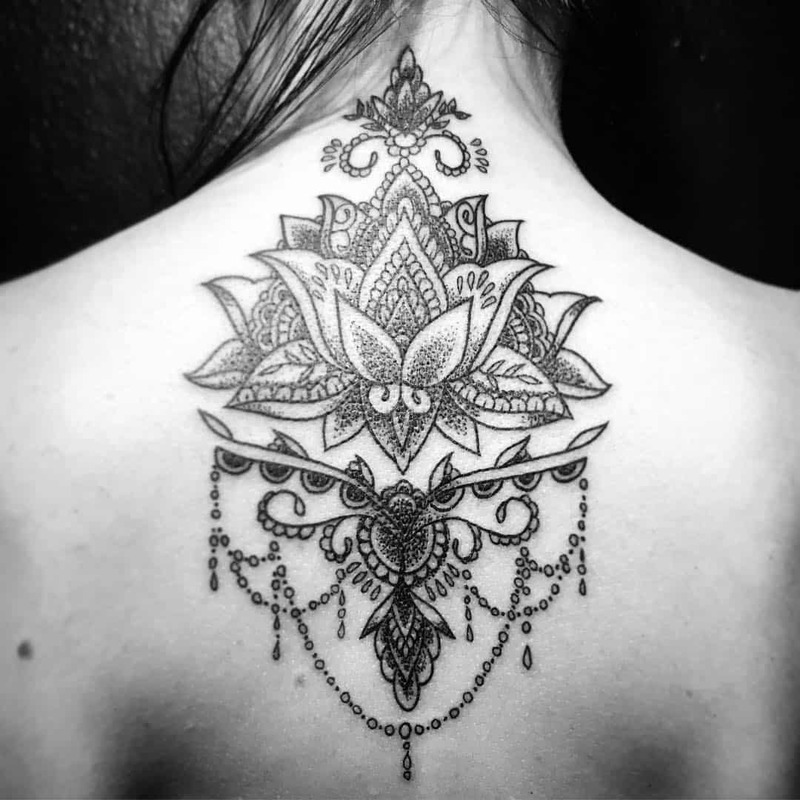 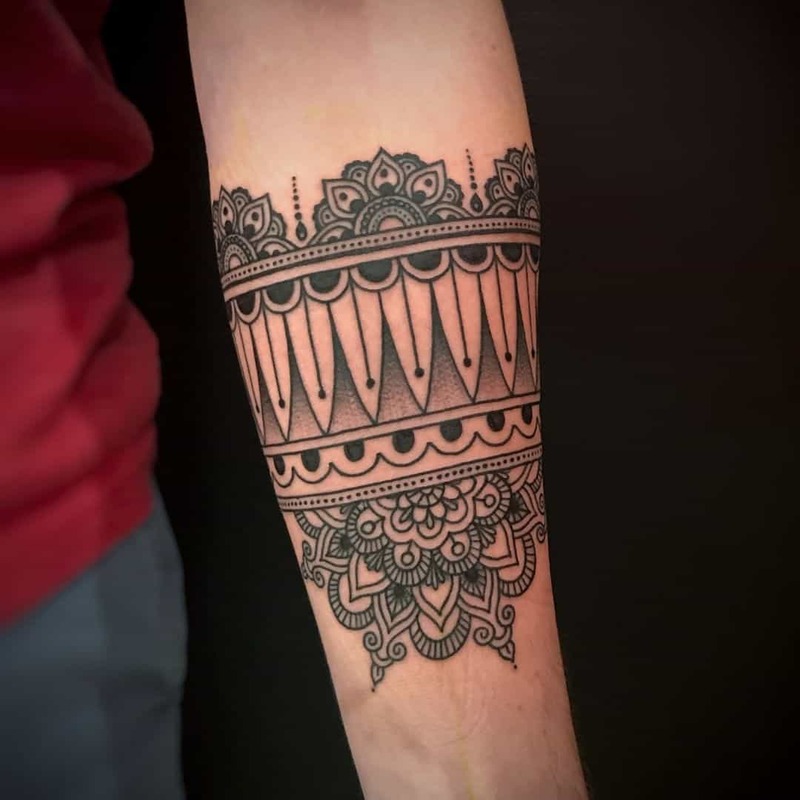 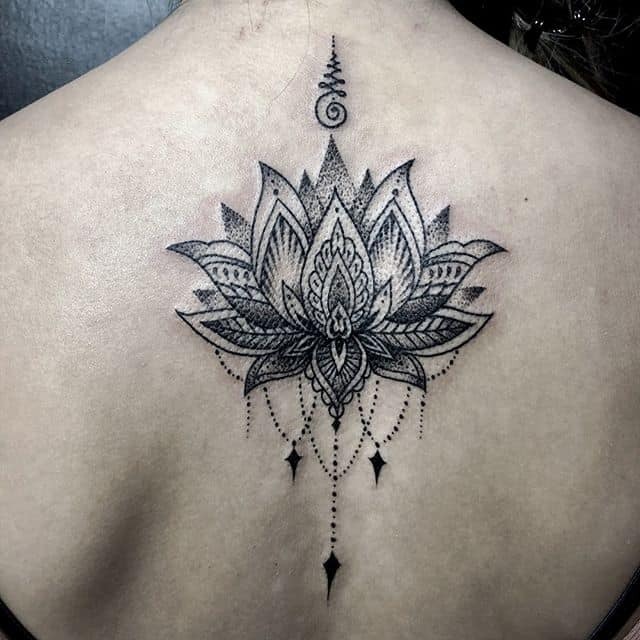 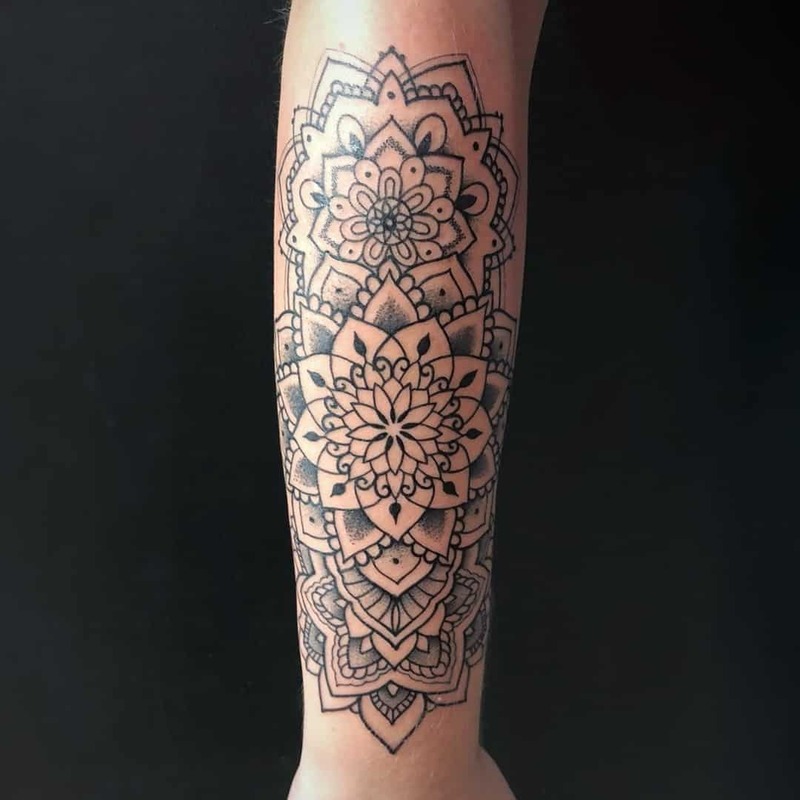 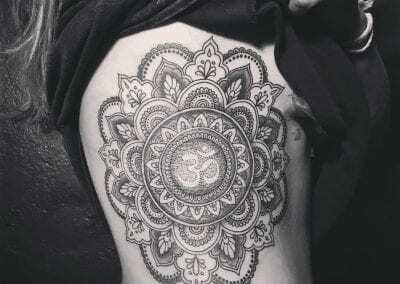 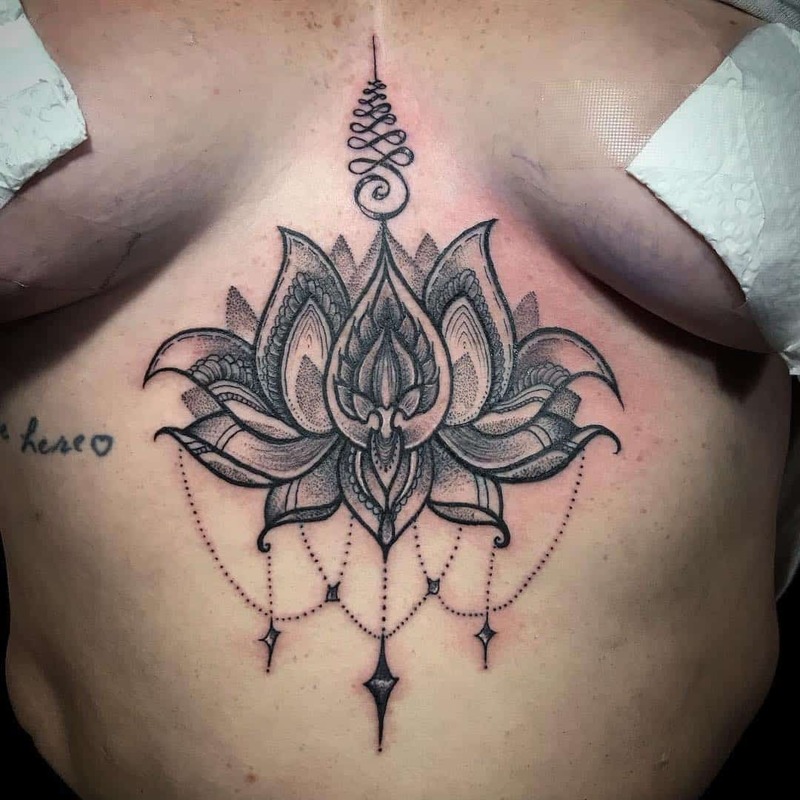 Mandala – This style takes its roots from Hindu and Buddhist culture and is very popular with clients wishing to commemorate their travels in South East Asia. 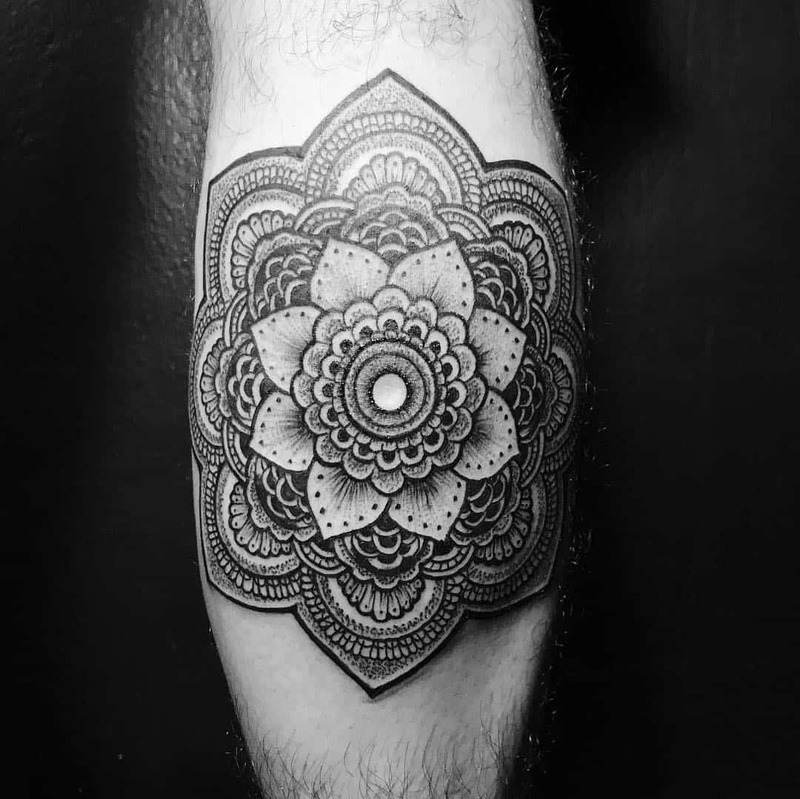 “Mandala” is a Sanskrit word that translates to “circle” and it usually depicted by a concentric or floral pattern that represents harmony, balance and unity. 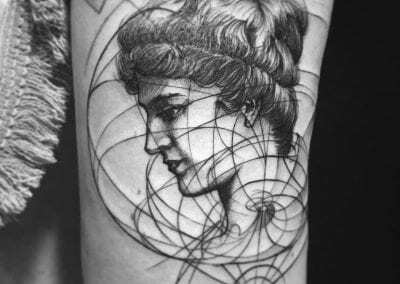 Ouroborus: With roots in Greek mythology it depicts a serpent or dragon which is devouring its own tail. 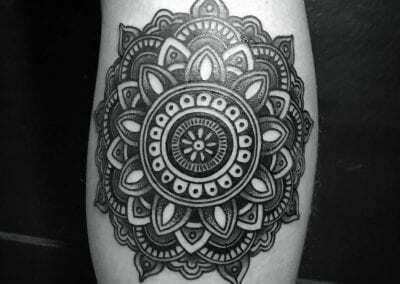 It represents the ying and yang or circle of life and volatility. 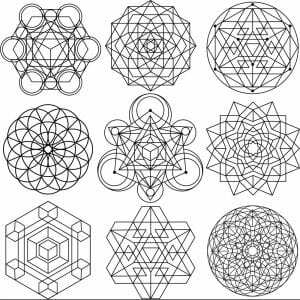 Fractal Shells: a growing spiral pattern which shows that nature is infinitely scalable. 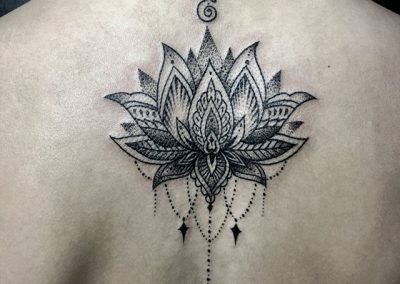 This design represents the harmony between order and chaos and that nature is far more balanced than most of us realise. 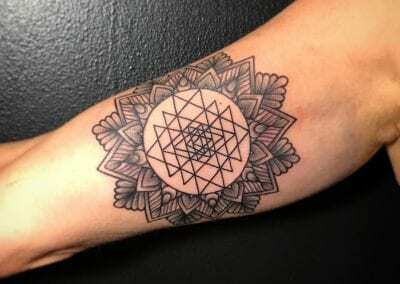 Metatron Cube: this shape represents the fruit of life and is often referred to as the “Flower of Life”. 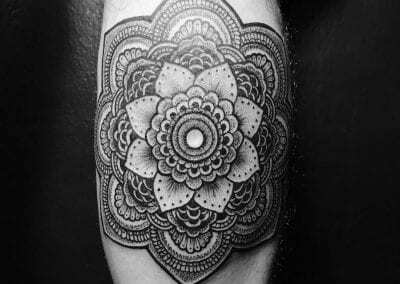 It features 13 circles that radiate out from a centre circle which mimics the structure of a flower. 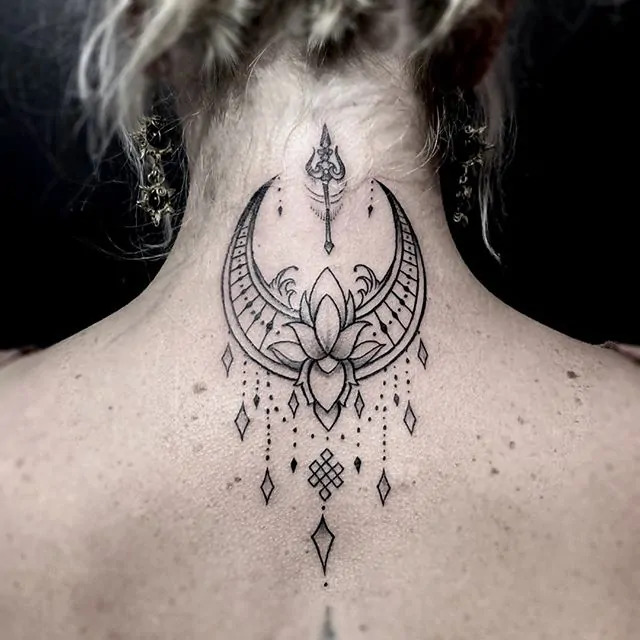 Owl: the owl design is a symbol for intelligence, mystery and wisdom and has been used by many cultures as to represent the wisdom of their elders and ancestors. 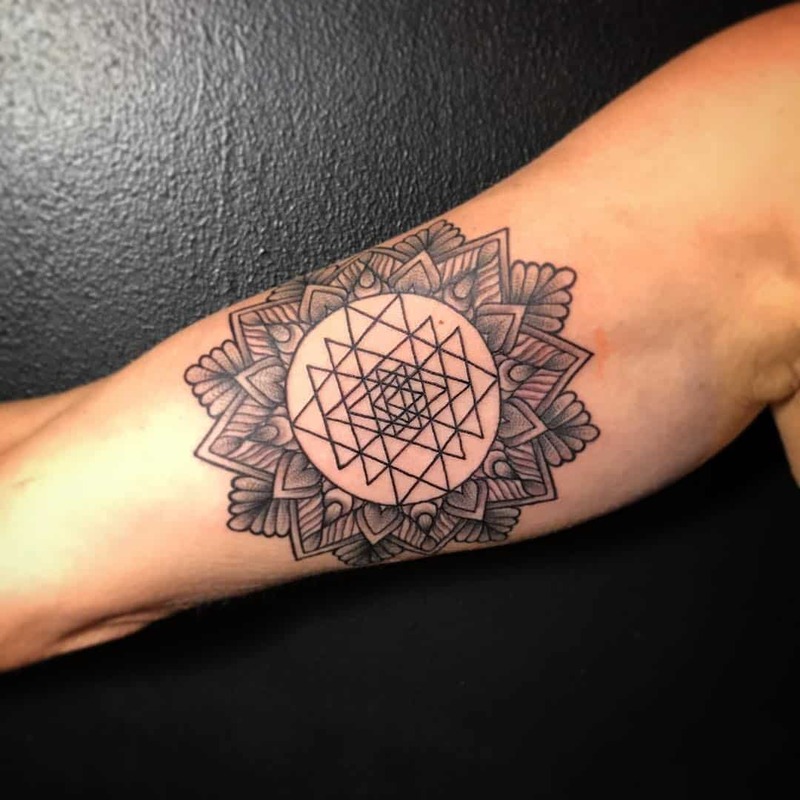 Ocosahedron: representing water, this shape signifies you “going with the current” and allowing yourself to flow with the back and forth of life without getting caught up by any one thing. 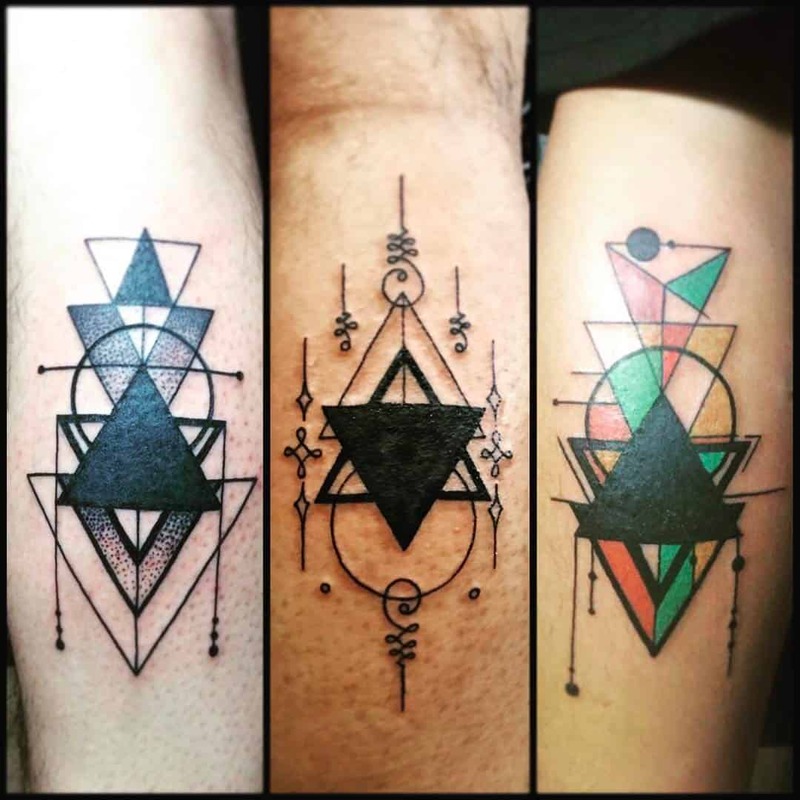 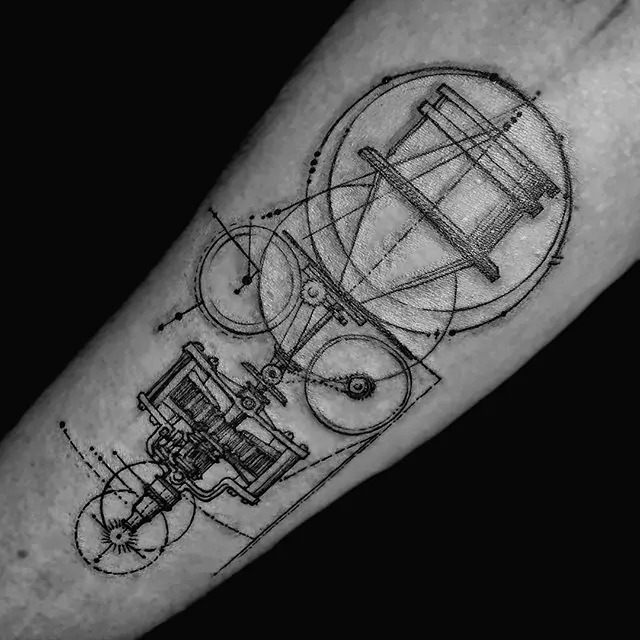 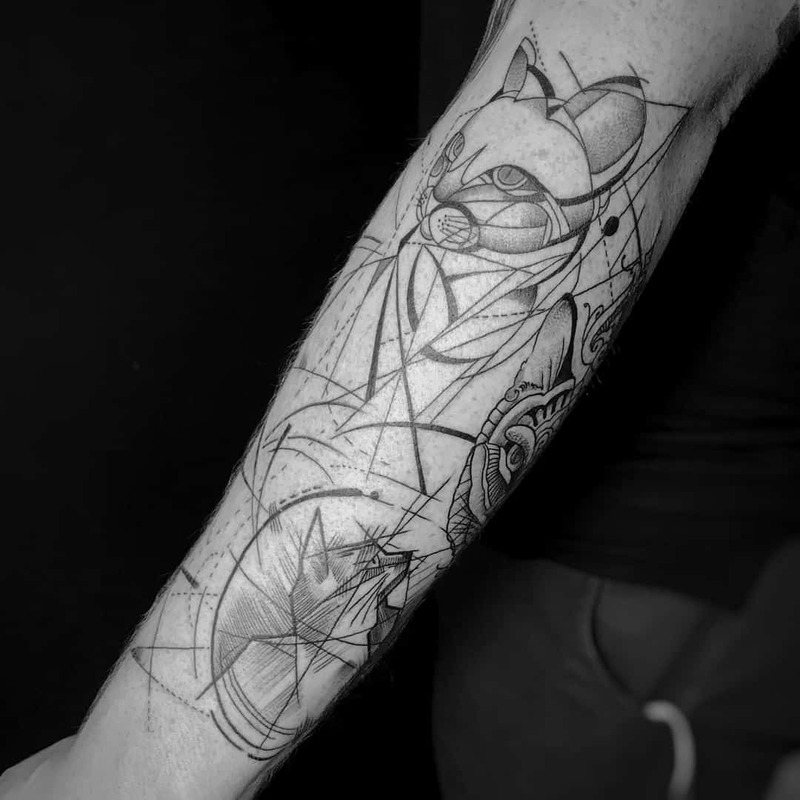 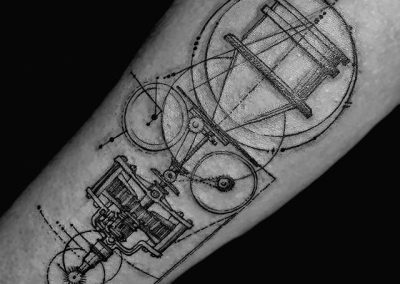 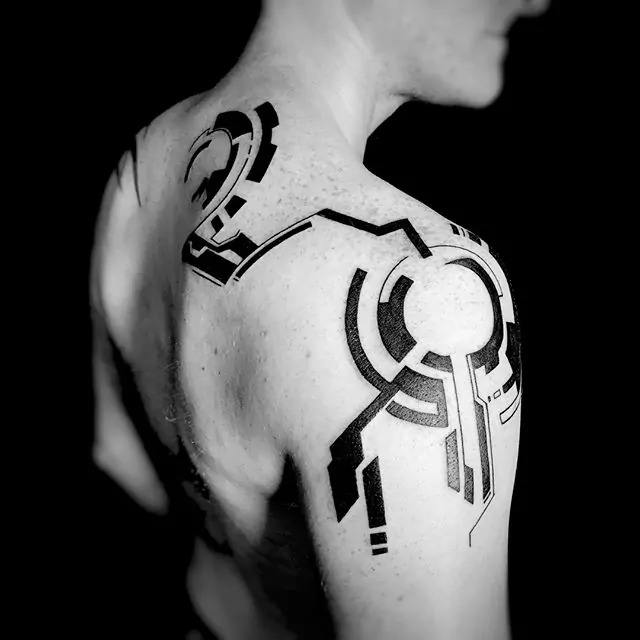 See some examples below of our most recent geometric tattoos done in our Bangkok studio!